About the artist: Ruben Sanchez is an artist born in Madrid, Spain. His artwork can be found in galleries and walls around the world. He is currently based out of his native Spain. About the artist: David Hollier is originally from England, presently based out of Bushwick, Brooklyn. 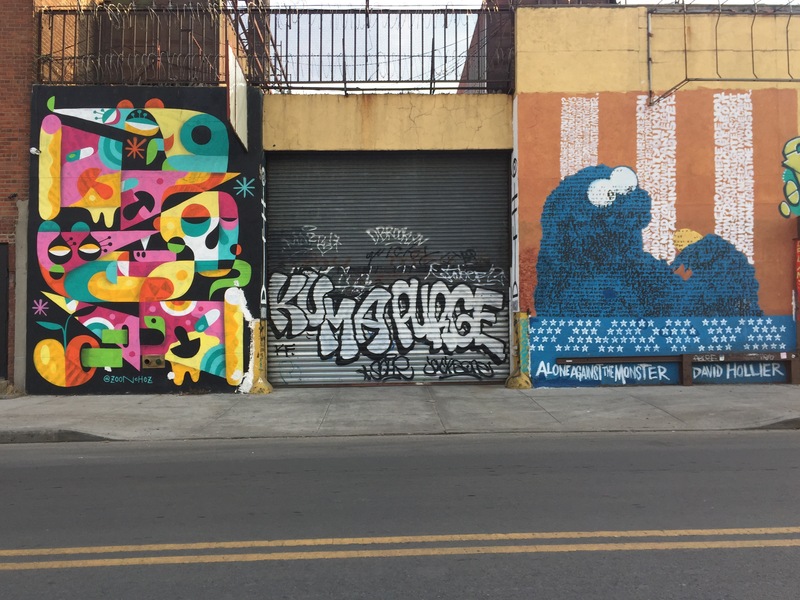 His unique style of art can be found throughout the streets of New York, as well as throughout the work. David Hollier is currently an adjunct professor at Parsons School of Design. Posted in BrooklynTagged David Hollier, Zoon ChezBookmark the permalink.